BIOTRONIK announced the presentation of data confirming the efficacy of the Pulsar-181 bare metal self-expanding stent (BMS SE) at VEITHsymposium 2016. NEW YORK, US and BUELACH, Switzerland, November 21, 2016– BIOTRONIK announced the presentation of data confirming the efficacy of the Pulsar-181 bare metal self-expanding stent (BMS SE) at VEITHsymposium 2016. Dr. Jos C. van den Berg, University of Bern, Switzerland, presented the encouraging interim results for Pulsar-18 in treatment of superficial femoral artery (SFA) disease during the symposium’s main program on behalf of lead investigator for the BIOFLEX PEACE all-comers trial, Dr. Michael Lichtenberg, Vascular Center, Arnsberg, Germany. BIOFLEX PEACE is a prospective, multi-center registry examining 151 all-comers; the primary endpoint is primary patency at 12 months. The available 12-month interim results demonstrate that Pulsar-18 is an effective treatment option in the SFA. The primary patency rate of 75.0% and freedom from target lesion revascularization (TLR) of 93.1% confirm the results of previous Pulsar studies.1, 2 Clinical success of 85.0% (defined as improvement in Rutherford class ≥1) has also been observed. “It is reassuring to see that the clinical outcomes in this real world registry are similar to already published 12-month data,” stated Dr. van den Berg. “These positive results were obtained with the Pulsar stent, which has a thin strut design producing a low chronic outward force (COF). As higher COF has been shown to result in higher restenosis rates3, Pulsar’s unique design can be combined with minimal oversizing to further reduce COF for better outcomes. Pulsar stents are manufactured with BIOTRONIK’s unique proBIO coating, a silicon carbide layer that reduces metal ion release from the stent surface into the surrounding tissue. Pulsar-18 is available in diameters of 4 to 7 mm, all deliverable through a 4 F sheath. A global leader in cardio- and endovascular medical technology, BIOTRONIK is headquartered in Berlin, Germany, and represented in over 100 countries. Several million patients have received BIOTRONIK implants designed to save and improve the quality of their lives, or have been treated with BIOTRONIK coronary and peripheral vascular intervention products. 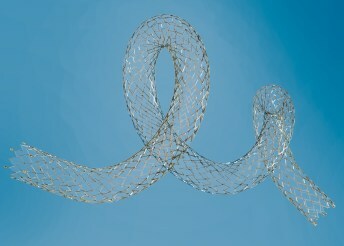 Since its development of the first German pacemaker in 1963, BIOTRONIK has engineered many innovations, including Magmaris5, the first clinically-proven resorbable magnesium scaffold; BIOTRONIK Home Monitoring®; Pulsar-181, the world’s first 4 F compatible stent for treating long lesions; Orsiro1, the industry’s first hybrid drug-eluting stent; and the world’s first implantable cardioverter defibrillators and heart failure therapy devices with ProMRI® technology. Bosiers M et al. J Endovasc Ther. 2013, 20(6). Lichtenberg M et al. J Endovasc Ther. 2014, 21(3). Zhao H et al. Cardiovasc Intervent Radiol. 2009, 32(4).